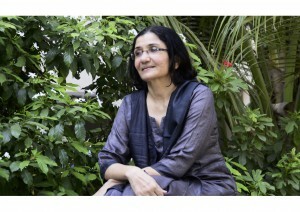 Zakia Soman is the co-founder of Bhartiya Muslim Mahila Andolan, the Indian Muslim Women’s Movement, which was formed in January 2007. The BMMA is an autonomous, secular, rights-based mass organization led by Muslim women which fights for the citizenship rights of Muslims in India, as well as for gender justice in Islam. It has demanded a ban on the practices of ‘Triple Talaq‘ (oral unilateral divorce), and polygamy among Muslims in India. Frowned upon even by hardline Muslims, and banned in Pakistan, Bangladesh and across the Islamic world, the practice of talaq-ul-bidat – or “triple talaq” – persists in India, home to the world’s third-largest Muslim population. It grants men the power to dissolve a marriage with a single word, “talaq”, said three times. Increasingly, the word is emailed or texted. Now India’s supreme court looks set to declare triple talaq, and another law forcing women who re-marry their husbands to first sleep with another man, unconstitutional. Banning the custom would free up to 90 million Muslim women in the country from a potential trapdoor divorce. advocating rights of Muslim women, and tolerance and harmony with other communities. She is also the author of two books and led two national research studies. Zakia received the Outstanding Women Achievers award from the National Commission for Women in 2014.